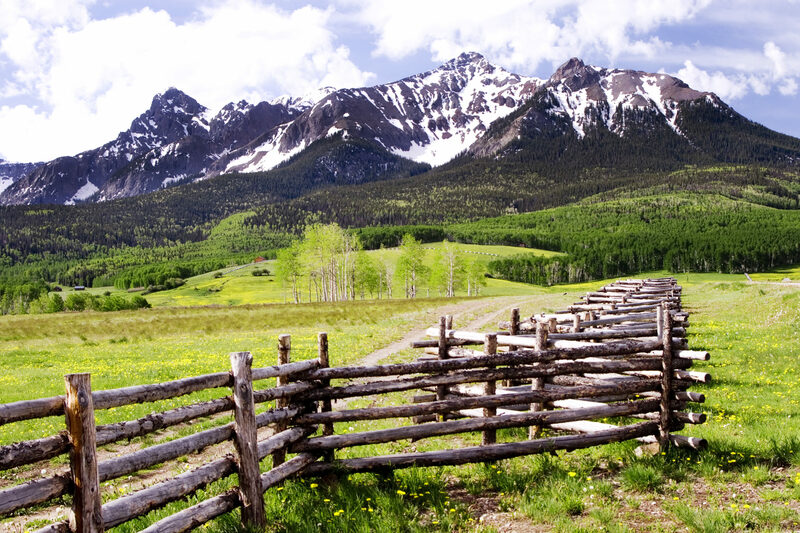 Summit County, Colorado just closed on the purchase of the 273-acre Doig Homestead Ranch. Purchased for $2 million, the open space is situated off Heeney Road and Highway 9 – approximately 20 miles north of Silverthorne. Currently not open to the public, this latest Lower Blue purchase is for wildlife and agricultural preservation. It has been a priority for nearly two decades for the Lower Blue to purchase the active hay and cattle ranch. Located at the base of Green Mountain Reservoir and bordering U.S. Forest Service land, the purpose of the purchase was to preserve history while protecting wildlife, iconic vistas and preventing private development. While most may be used to seeing open space having recreation and/or access as primary criteria in Summit County, the Lower Blue district has different priorities. Consisting mostly of ranchlands, many properties located in the Lower Blue have never been open to the public. Most do not have road or trails to access them so the main priority is to maintain the character of the land. The Doig Homestead has a unique mix of wildlife, wetlands, agricultural and cultural heritage. In addition, the purchase comes with water rights of 8.5 cubic feet per second in the Lillian Ditch as diverted from nearby Black Creek. The homestead’s proximity to water is a prominent reason why elk, deer and eagles are commonly found there. The property was originally settled by Dave Doig in 1898 and includes a small log cabin. For many years the ranch acted as a stagecoach stop as it’s located between Kremmling and Dillon off what is now Highway 9. At the time, most people were traveling by horse and carriage. A large rock at the ranch’s entry acts as the prior marker of the “20-mile house,” speaking more fully to its historic place in the Lower Blue community as ranching was bigger and more centralized than mining in that area at the time. The Knorr family who has lived and worked on the ranch for four generations had an original asking price of $3.5 million. When the listing price dropped in August after being on the market for nearly five years, Summit County jumped at the chance to purchase the property before the new listing price could go public. Summit County residents provide the Open Space and Trails Department with approximately $1.25 million in property taxes annually to go towards such acquisitions. The county had to dip into reserves to come up with the additional three-quarters-of-a-million-dollars to purchase the land. In addition, to make up for some of the cost, the county applied for $375,000 in retroactive GOCO (Great Outdoors Colorado) grant funding earlier this month to afford the expansive parcel. The county should hear back in December on whether they will be awarded the grant. The property will remain leased to the Knorr family for cattle and hay production through 2017 and could still be used for agricultural purposes beyond that as well. The Summit County open space staff plans to develop a management plan for the property this winter and have already started talking about what kind of future the parcel holds for public access and how it might be managed with the continued emphasis of protecting it as a wildlife habitat. To learn more about properties that back to open space in Summit County, contact one of our talented real estate brokers at Real Estate of the Summit today!